The KONG Critters are challenging feeding toys for your dog. You can hide a reward for your dog inside it. The different openings form an extra challenge for your pet. KONG Quest Critters are available in two different versions. Playing is good for your dog. It challenges him and keeps him active. The KONG Critters are a new challenge for your dog. You can hide a reward in the different openings of the Quest Critter. This challenges your dog to find the reward and to get it out of the toy. What's more, chewing on the KONG Quest Critter helps clean your dog's teeth and gums. The KONG Quest Critter is available in two different versions: cow and owl. This product is selected at random. You cannot select your preferred colour. Small: approx. 11 x 10 x 3.5cm. Large: approx. 15 x 13 x 5cm. 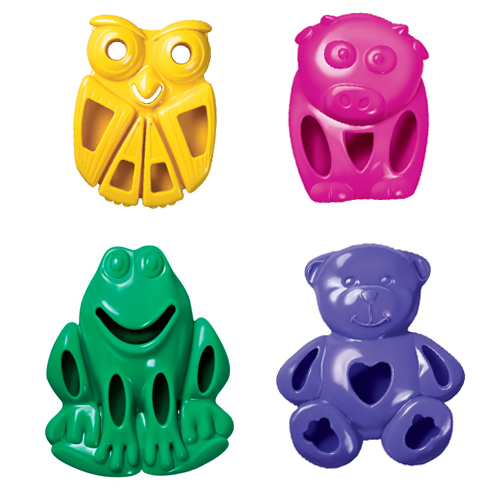 Have you used KONG Quest Critters before? Let us know what you think about this product.